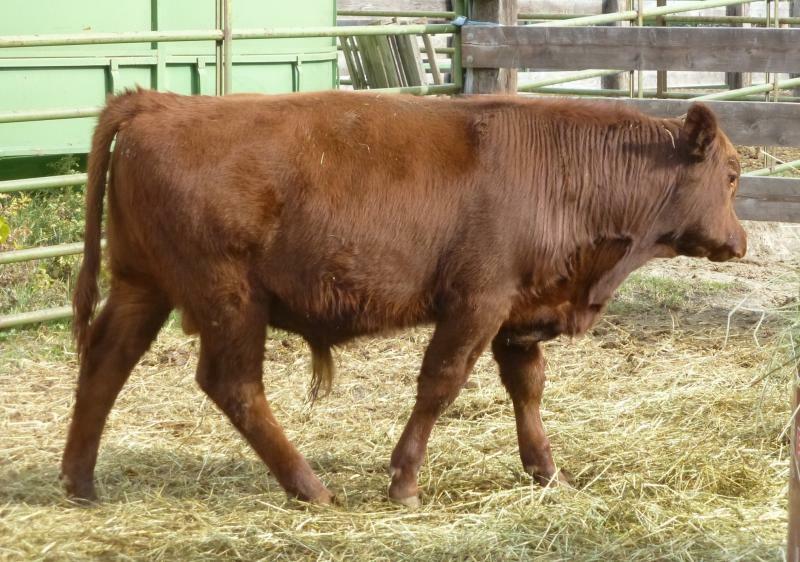 We also have one purebred Red Angus yearling bull available. He is pictured below. 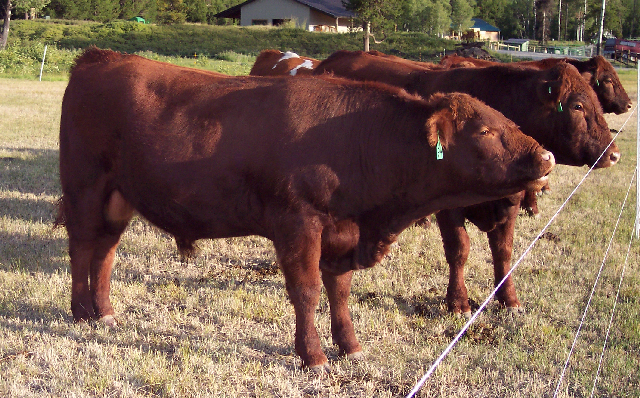 Cattle are sold current with vaccines and pour-on wormer. 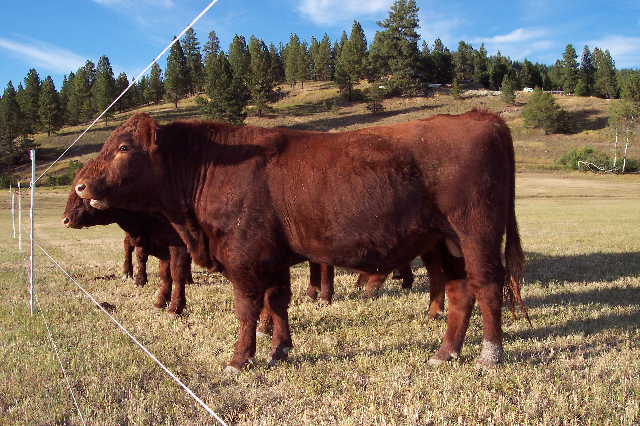 All bulls are registered with the American Shorthorn Association (ASA). Please contact us if you are interested. Delivery is available. 50% Deposit is required to hold an animal, of which $500 is non-refundable, but can be used toward the purchase of another animal. 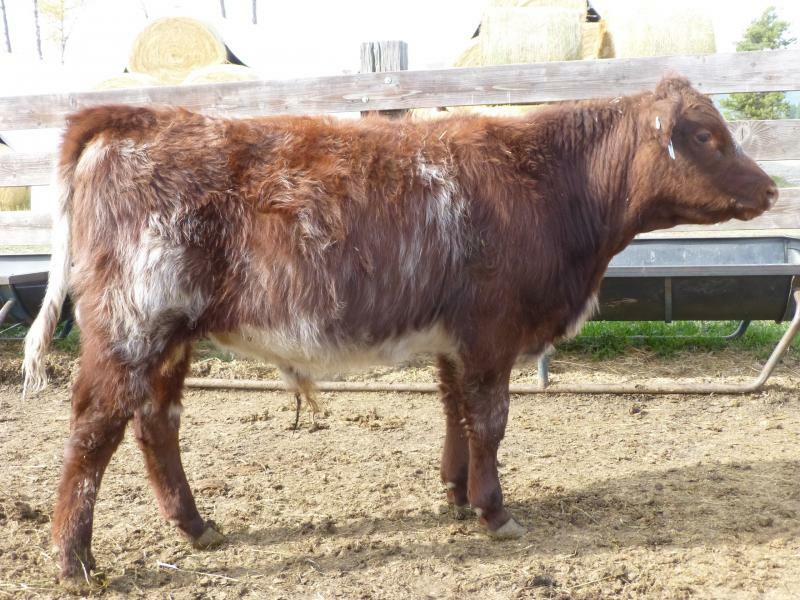 If you are interested in a specific bull calf and would like more information or a current photo, please feel free to contact us. 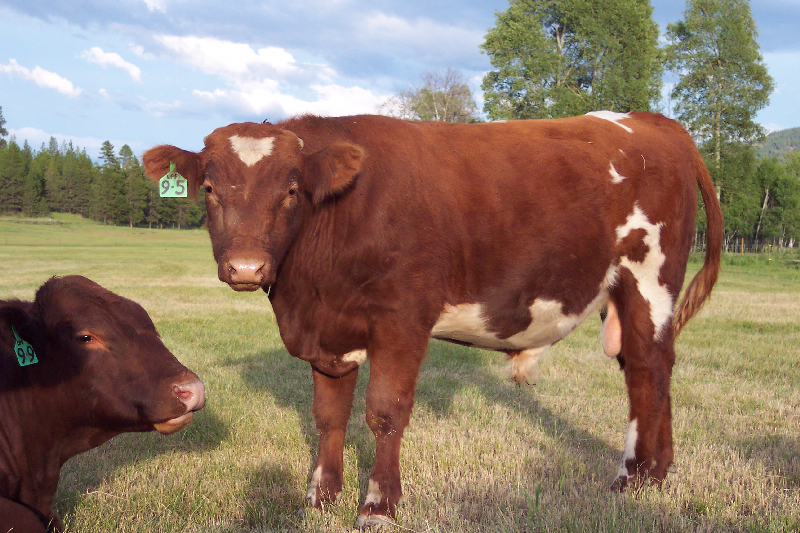 ﻿ Bulls can be sold as 4-H projects; please contact us to confirm whick bulls can be sold as 4-H steers. Bull calves will be banded early October. Very impressive growth on this young bull. 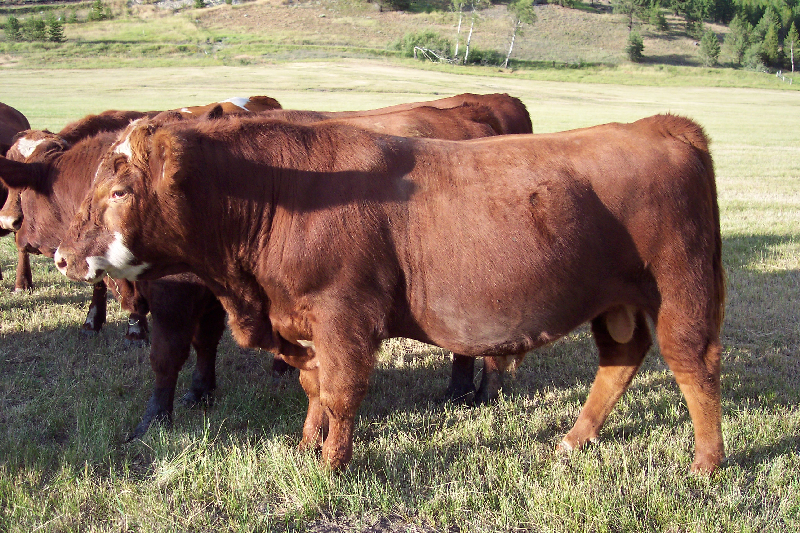 We have one (1) purebred Red Angus bull and one (1) ShorthornPlus (Shorthorn/Red Angus). 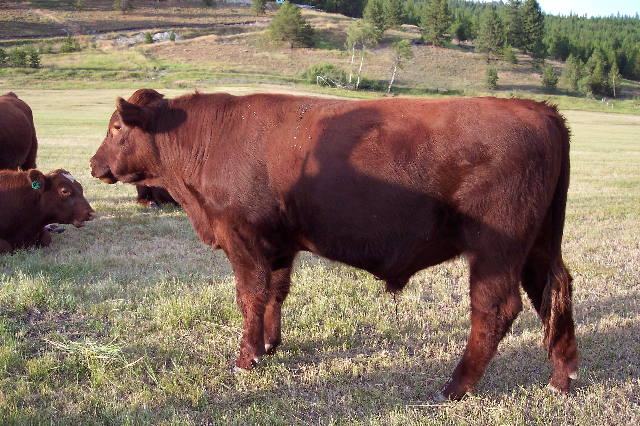 This bull is being offered commercial, but he can be registered purebred Red Angus for an additional cost. Clipper King 3 RT grandson and Clipper King of USA great grandson. BOA KAE Royal Oak grandson. 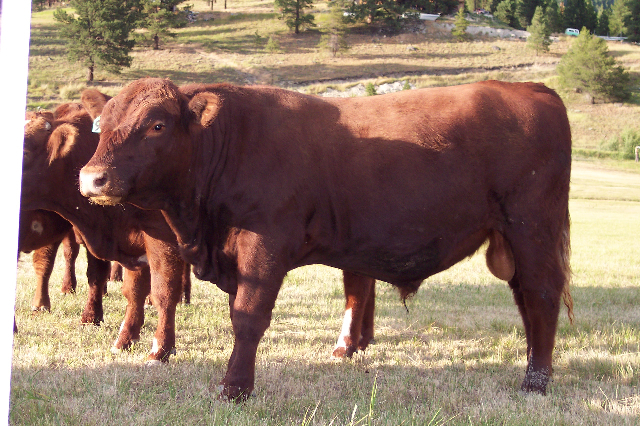 Pedigree includes MANDALONG SUPER FLAG & YY CARMINE'S RED EAGLE Y34N. The growth on these composite bull calves is impressive! 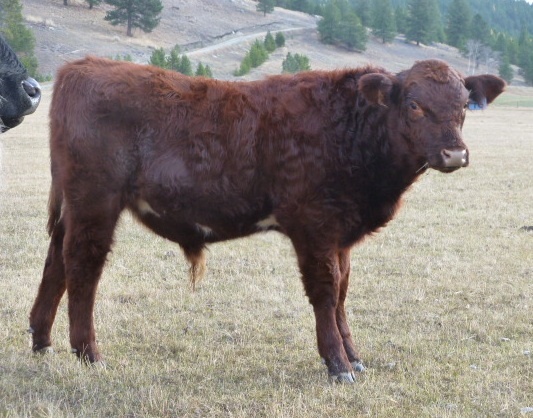 If you are interested in a specific bull calf and would like more information or a current photo, please feel free to contact us. These photos were taken Fall 2015.